The ShellieMay bag is too cute, and it is a 3-way bag that can be used as a shoulder bag, a handbag, and also a backpack; plus I can cuddle the adorable ShellieMay whenever I take her out! 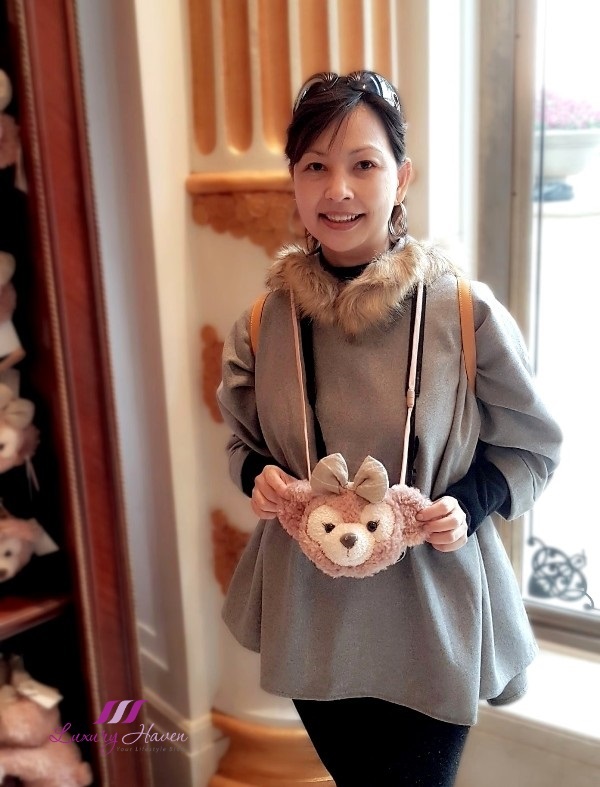 Spotted a Japanese carrying Duffy Bear in Tokyo DisneySea. Noticed the difference between Duffy and ShellieMay? Duffy is in darker brown, while ShellieMay is lighter in colour and has a pretty bow. Also saw this couple carrying Disney bags with a handful of Disney stuffed toys attached onto their bags! Just look at the the range of Duffy Bear, ShellieMay, Mickey and Minnie Mouse plushies they have! 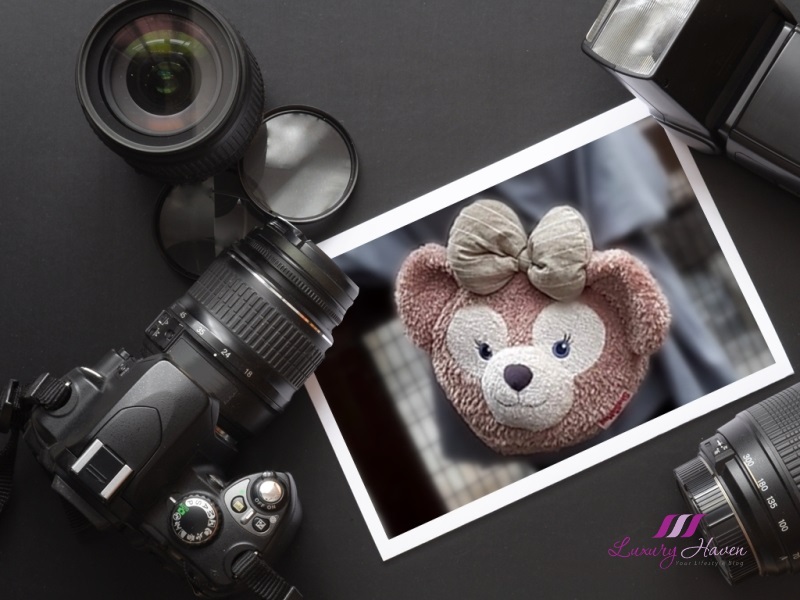 Duffy is the stuffed bear Minnie Mouse made for Mickey to accompany him on his adventures so that he would never be lonely. Duffy is Mickey’s one-of-a-kind travel buddy! Well, Shellie May is Duffy’s girlfriend, also created by Minnie Mouse to keep him company. 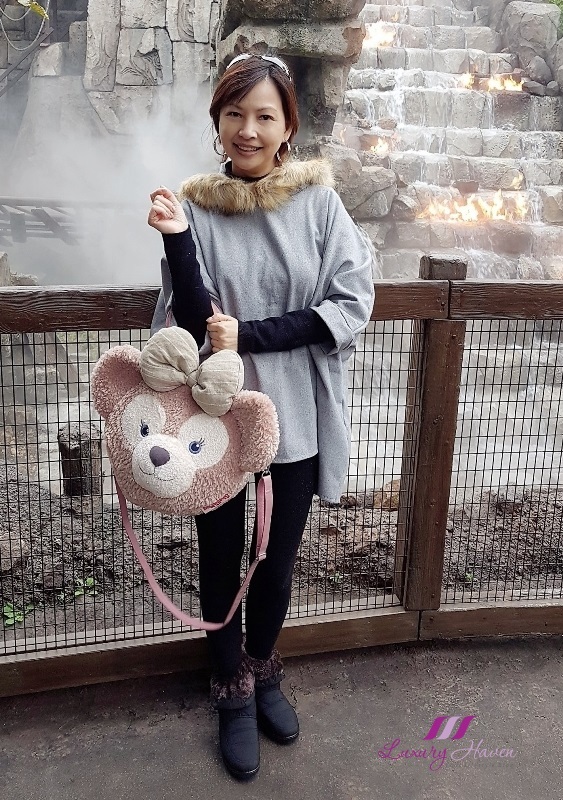 If you wanna meet the lovable ShellieMay in person, the character can be found strolling through American Waterfront in Tokyo DisneySea, where her greeting spot is. Do you own a ShellieMay plush toy too? If you haven't been to DisneySea, check out the rides and attractions at my last Christmas at Tokyo Disney Resort, DisneySea 15th Anniversary! 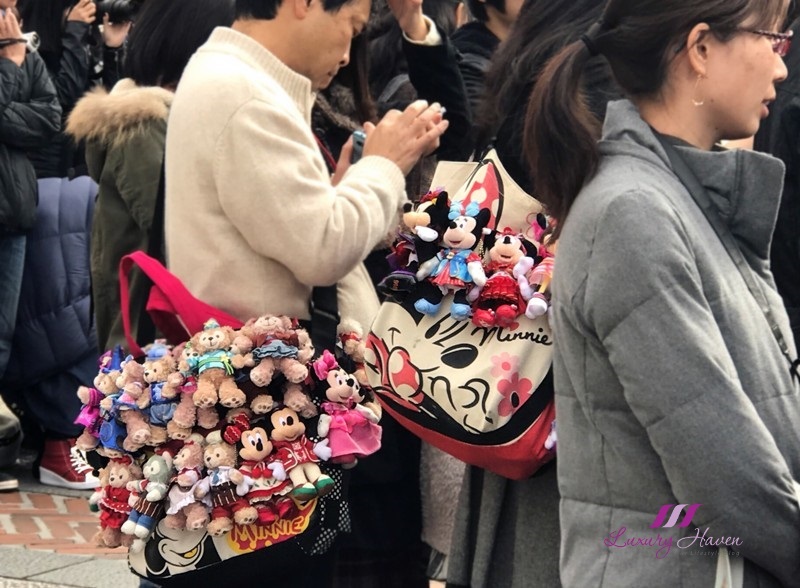 I thought you would be the central of attraction carrying ShellieMay throughout you trip... but looks like i'm wrong...there are plenty of Disney fan irregardless of age and all are not shy to carry 1 Disney character around. Did you buy the mini as well? Fantastic place and you look really cool! Cute bag, Shirley! You look beautiful. So fun! You look terrific carrying ShellieMay! Now that is what I call a great buy! I'm also a big fan of the Disneyworld. SincecI was a little girl ! Great post with fantastic photos! That shelliemay Disney bag is adorable. Visiting Disney must be a lot of fun! I really like your outfit. Grey and black is always a good combo. You look very elegant...and that bag adds a cuteness element to this styling. So pretty. Wish I am with you in Disney. Let me save first ya! In love with thos plushie bags!!! And such cute stuffed toys! 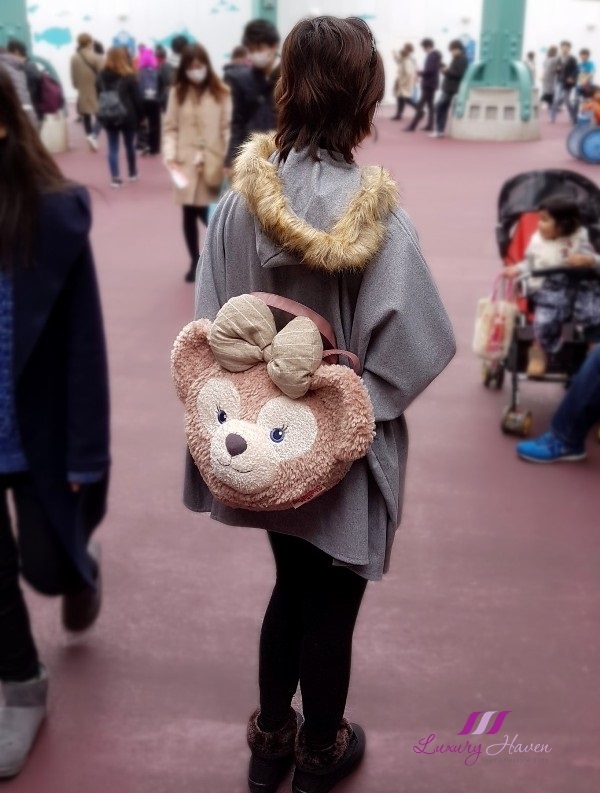 That bear bag is so cute! love it.